While they witnessed the river otters up close, Snide talked about how the two male otters came to live in the aquarium. One was found when he was only two months old and brought to the aquarium. "Left alone in the wild without his mother he would have died," said Snide. "But we knew he needed another otter to live with him." Both otters are 15 years old now - old for otters in the wild, but not so old for those well cared for in aquariums and zoos. Snide told students the aquarium only houses native animals to South Carolina and helps educate people as well as protect animals. She said at one time, years ago, the otters were nearly endangered because trappers were catching so many of them for their valuable fur. Through Skype, students could see the otters on a large television screen while answering and asking questions by Snide. She asked students to talk about the different kinds of adaptations the otters have that help them in their natural environment. 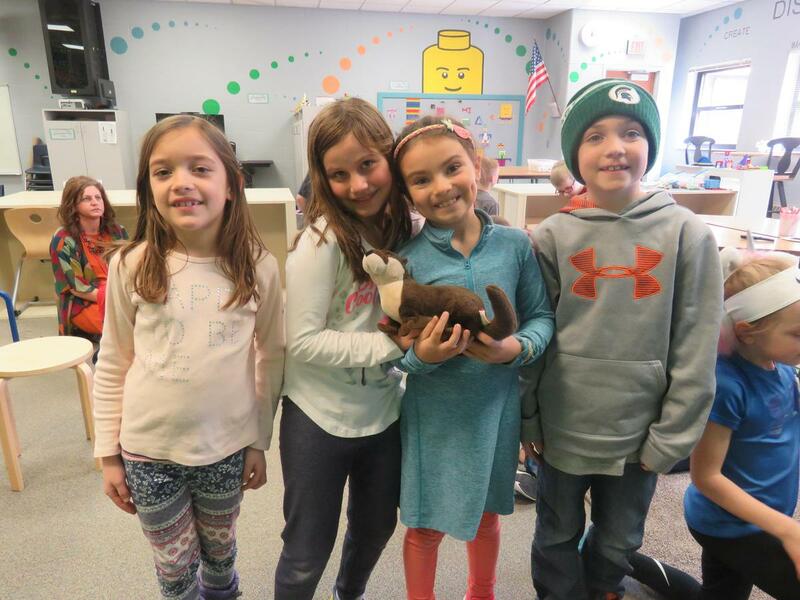 Students eagerly offered a host of answers including the otters thick fur, their webbed paws for swimming, claws for finding food, sharp teeth for eating, and even the shape of their head and body streamlined to glide through the water. Snide said in addition to hunters endangering different animals, people sometimes don't even realize their own actions end up hurting animals. She said plastic is very dangerous to animals who often eat it thinking it is a food source. Sometimes different animals can get tangled in plastic as well. "We want to teach people to help all the animals," said Snide. "We can do that by treating the earth kindly." 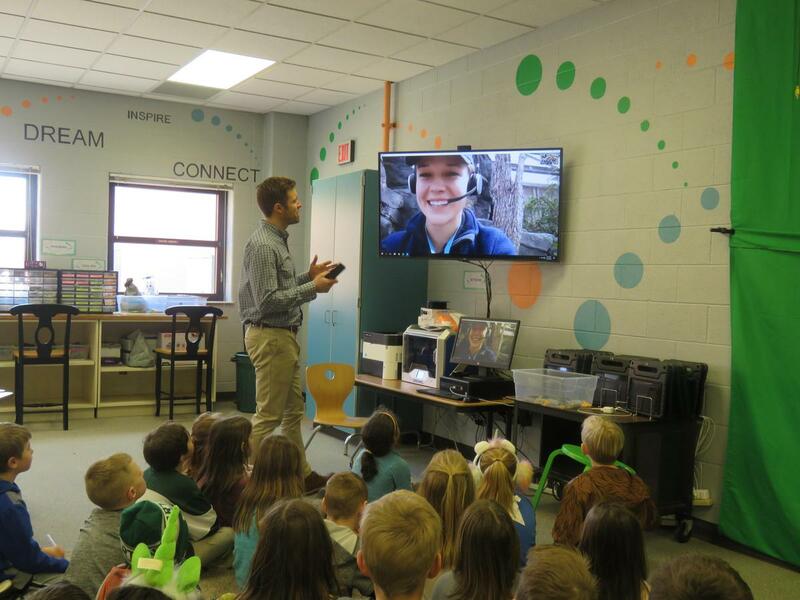 She encouraged students to recycle items and to replace plastic bags with reusable cloth bags while shopping and replace one-time-use plastic water bottles with refillable water bottles. She also reminded students not to litter because that trash can find its way to the rivers, lakes and oceans where animals live. Snide also talked a little about what it takes to do her job. She told students she went to college and earned her bachelor's degree in zoology. 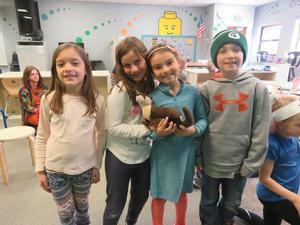 "The best part of my day is getting to share our animals with students like you," she said. 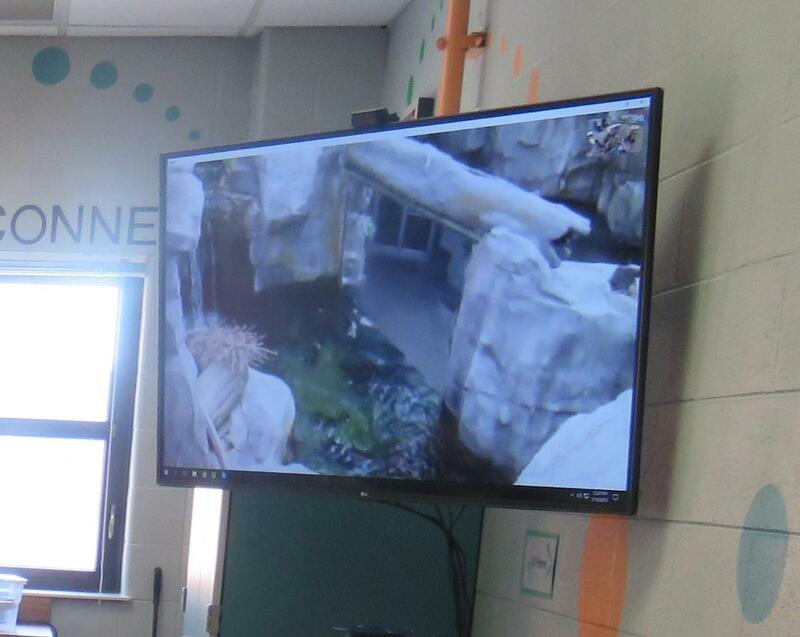 Fischer said Skyping gives students a chance to feel like they are actually at the aquarium and interact with the specialists there. 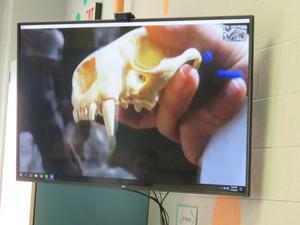 He said his students are always interested in animals and he wanted to help them understand how responsible animals owners provide care and attention and how zoos and workers help care for animals. Students helped write the request for an educational session with the aquarium. 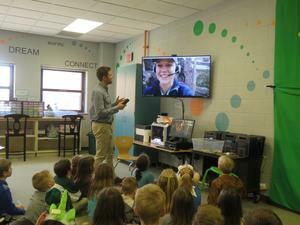 They are already planning a return Skype visit this spring to the aquarium's sea turtle hospital.